Eye Exams in Scotland are free! A survey by YouGov, on behalf of Royal National Institute of Blind People Scotland (RNIB) has found that a full 10 years after eye exams were made free by law, many people still expect to be charged. September 19th marked the start of National Eye Health Week and RNIB wishes to emphasize the importance of having your doctor check your eyesight on a regular basis. Doing so has saved many people’s eyesight already and has also helped to diagnose and treat or even cure other conditions, including diabetes, glaucoma and high blood pressure. But early detection is critical. Fear of losing one’s sight is common, but people still tend to be casual about their eye health and to associate an eye appointment purely with a new vision prescription. However, everyone, and particularly people over 40 and those of African-Caribbean descent, should be checked at least every two years. The exam won’t cost you anything but time, but not investing that time could cost you your eyesight. 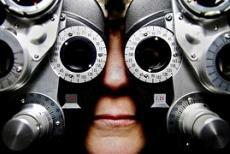 Scotland’s population is ageing and about 180,000 out of a population of about 5.33 million already has eye problems. This number is likely to go up over time, so it’s critical that everyone have their vision checked and a godsend that it’s free.